It really does, and that's what the sign said that appeared in the sky as Meryl Dorey from the Australian Vaccination Network took the stage at Woodford Folk Festival. It was on a banner towed behind a small plane, and its appearance at exactly that time wasn't a coincidence - it had been carefully planned that way. The sign was paid for by a small group of people, a subset of the Stop The AVN Facebook group, and had been kept a well-guarded secret in order to maximise the look of surprise and horror on Ms Dorey's face. To her credit she immediately recovered enough to blame Australian Skeptics Inc for the banner (ASI had nothing to do with it) and then said that it was advertising for her position, although how she equates "Vaccination saves lives" with "Vaccination kills" (her true position) is a mystery to the rest of us. Ms Dorey had originally been scheduled to give a talk about the link between vaccination and autism. To most thinking people in possession of the facts this would be a very short talk: "There isn't any", but nobody expected this from Ms Dorey. 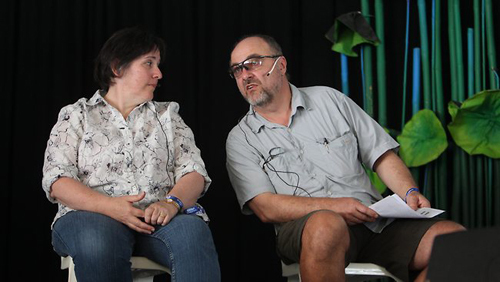 Following much media attention focussed on the Festival and its organisers a compromise was reached and the talk was replaced with a forum, where Ms Dorey would have to share the stage with someone who actually knows something about vaccinations, in this case Professor Andreas Suhrbier from the Queensland Institute of Medical Research. I like the fact that in its report, The Courier-Mail described the AVN as an "anti-vaccination group" in its caption to the photo above. At last the media are realising what the AVN stands for - not freedom of speech, not informed choice, but absolute and total opposition to all vaccines. Professor Suhrbier spoke first and gave the capacity crowd some real facts about the effectiveness and safety of vaccines. Then Ms Dorey got up and gave then what everyone expected - the anti-vaccination party line. I have given her PowerPoint slideshow the yellow highlighter treatment (to mark "inaccuracies"), and you can see it by clicking on the picture below. My comments on each slide are included. Thanks to radio station 4ZZZ in Brisbane, here is a recording of Ms Dorey's talk. I have given the player a yellow background for reasons that should be obvious. As an aside, I decided that if I am going to continue marking up Ms Dorey's work with my yellow marker I need to speed things up, so I have written to Logitech and asked them to make me a special keyboard with a yellow key just for that task. This could save hours each week. Episode 4 of the Radio Ratbags podcast has interviews with Chrys Stevenson, who did the lion's share of the PR for the Stop the AVN's Woodford campaign, and Dan Raffaele, founder of Stop the AVN. How would you feel if you heard someone laughing about how they had physically abused a child? How would you feel if you heard someone laughing about how they had sexually abused a child? Once you have considered those, how would you feel if you heard someone laughing about how they had exposed their child to a disease that still kills children around the world and sentences others to lives of pain and disability? 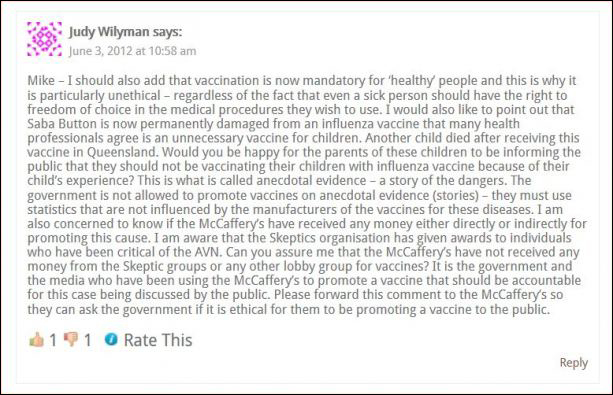 That was a message posted to the Australian Vaccination Network's Facebook page on November 30, 2011. It was not challenged or criticised by any of the members of the group. You will notice that Ms Elphinstone expresses amusement at the thought of her son getting chicken pox, caught because she "did deliberaltey (sic) expose him". See the "lol"? That means "laughing out loud". I have been advised by the Western Australian Department of Child Protection that this is not a child protection issue. 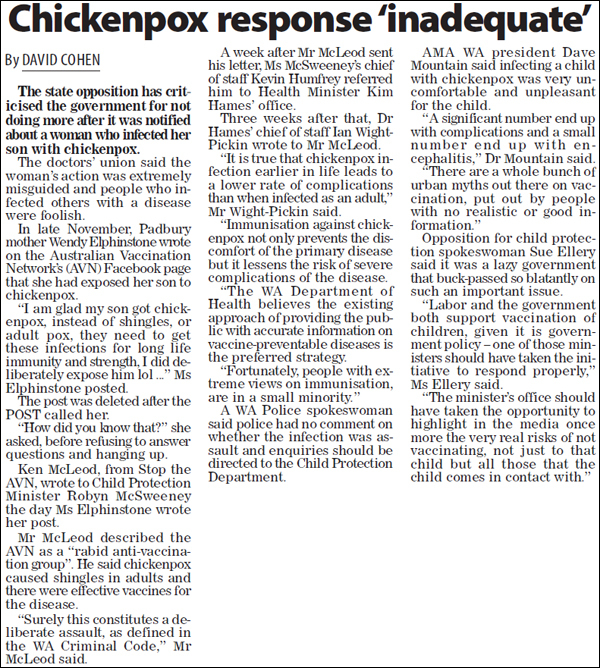 The WA Department of Health believes that the existing approach of providing the public with accurate information on vaccine preventable diseases is the preferred strategy. Fortunately, people with extreme views on immunisation, such as those attributed to Ms Elphinstone, are in a small minority. So there you have it. parents can freely abuse their children in Western Australia by putting them at risk of death or permanent injury provided they do the endangering by following an idiotic, anti-vaccination agenda. I assume the authorities aren't so cavalier with parents who refuse to put their children in approved car seats or who give them alcohol or other drugs. I hope that they take things more seriously if Ms Elphinstone decides to treat any serious illness her child acquires by using the useless products she sells off her web site. How many children have to be put at risk, or be damaged or killed by preventable diseases before the health authorities recognise anti-vaccination campaigners for the dangerous, deluded fools they are and treat them like any other group that defies the rules and conventions of civilised society? I'm not laughing out loud, and neither should anyone else. Meryl Dorey, President of the Australian Vaccination Network, was interviewed on radio station 4BC in Brisbane during the week. The station actually had a real doctor on as well to provide balance, although why any discussion about vaccination needs to have to pretend to balance is a mystery. There is no "other side", and giving an anti-vaccination campaigner air time is like having a Holocaust denier on to provide balance to a story about the history of the Second World War or having a moon hoax believer on to balance a story about planetary exploration. Here is a transcript of Ms Dorey's interview. It has been given the yellow marker treatment to show "inaccuracies". I hope I got all of them, but I can never be sure. Why is Australia in the midst of a whooping cough epidemic? Following is the transcript of an interview on Gary Hardgrave's Drive programme on 4BC (Brisbane), yesterday afternoon, the 18th of January. This is in regards to the current record levels of whooping cough in Australia (and worldwide) and the vilification by the government and medical community who blame the unvaccinated for the outbreak whilst ignoring the evidence that the vaccine is not working and may itself, be the source of the epidemic. GH: Doctors are fearing a rise in whooping cough, yet we've been immunising people for ages. Just what is going on here? I thought immunising against whooping cough was supposed to prevent it and there's been a mini epidemic in far north Queensland. I don't know much more details than that. I'm wondering if it's within indigenous communities or possibly within newly arrived migrants. I don't know, but others are saying no, it's a pretty broad cross section of our community that have been called out of that. We'll talk about that in some detail in a moment. We return with this apparent mini epidemic of whooping cough. I had a touch of whooping cough when I was a young acker and I as far as I know was immunised. It is not a nice thing. Australia's gone from having only 332 cases of whooping cough per year in 1991 to having something like 38,000 cases in 2011. That's the claim. 10,000% increase. I thought we were immunising people against this. The Australian Vaccination Network's Meryl Dorey joins us, Meryl I know you're not a big fan of vaccination, but something's wrong here. MD: Well something is definitely wrong here. it's not that I'm a fan or not a fan of vaccinations, but I am a fan of using scientific information to say that what We're doing works and it's not a mini epidemic that's happening for whooping cough. We're actually starting the fifth year of a record-breaking number of cases of whooping cough. When the vaccine was introduced in 1953 we had about 180 cases of whooping cough per 100,000 population in Australia and right now, with our vaccination rate going from 0 to 95%, we have 180 cases per 100,000 head of population. So we've actually seen no improvement in the incidence of whooping cough and what's occurring in Australia is what is occurring around the world. Any place that the vaccine is being used We're seeing this huge increase, an absolutely enormous increase in incidence, 10,000% in the last 20 years in Australia and the vaccine may very well be responsible for it. What the medical community is saying is that in the same way that antibiotics can lead to antibiotic resistant bacteria, well over use of the whooping cough vaccine has actually caused a mutation in the bacteria that causes whooping cough and it's no longer in the vaccine. GH: Yeah so what you're saying really is we need a bit more science to check out what We're actually vaccinating against? MD: Absolutely. And right now the medical community and the government are using this outbreak of whooping cough to try and get people to vaccinate more but we are vaccinating more than we've ever vaccinated before and it's not having any effect. Like you said - you thought, I thought, everyone thought - that when they vaccinated against whooping cough, it meant that they were protected. But now, even the medical community is saying, "No, you're not protected. It may just mean that you get the disease milder." and I have to tell you that from my research, there isn't any evidence that that's the case either. We are getting more cases of whooping cough than we've had in decades and it's despite a 24% increase in the vaccination rate against whooping cough in Australia in the last 20 years. GH: But I was vaccinated when I was a kid because I've been born 1953, I was born on January 5th in 1953 if anyone wants to write that down for my 60th birthday, my point being that I had a mild form of whooping cough when I was a kid, it terrified my parents, it was an aweful time they reckon. MD: Well that's it. And from the statistics we've gotten from the government, it appears that something close to 80% of all cases of whooping cough are occurring in fully vaccinated people so you know, we have a situation where We're getting a huge incidence of disease and We're being told that the only answer is to get more vaccinations, more vaccinations, but we already have so many people vaccinated and the disease is not declining - it's actually increasing. And what the AVN says is that we have about a 95% vaccination rate against whooping cough right now. If the government wants to increase that even higher, and that's a pretty high vaccination rate, a lot of parents that we speak with are very concerned about whether or not giving their children vaccines is going to keep them healthy. And we have been asking, organisations like the AVN around the world have been asking for decades now, for the governments to do the one study that will actually make parents feel more comfortable about giving their children these vaccines and that is a study comparing the overall health of children who are fully vaccinated with children who are completely unvaccinated but that's never been done. GH: All right, SOMETHING is out there, I appreciate your time. GH: We'll talk to you again. 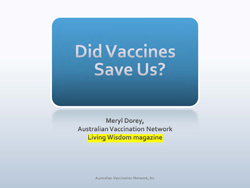 GH: Meryl Dorey, President of the Australian Vaccination Network. They say parents have the right to choose. And I am a great believer in vaccination but I get the point that she's making that I'm very, very interested in because whether or not We're vaccinating against exactly the same thing, or the right thing, that we should be vaccinating against. 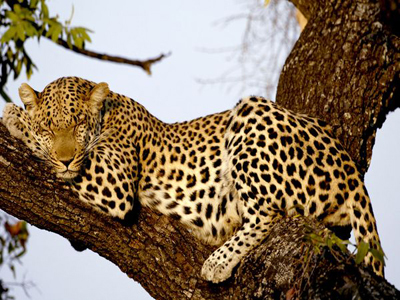 Yes, I've been away. I had to do a whole lot of accounting work to satisfy the government department which provides my wife with benefit payments for a medical condition. One of their requirements is that we must submit the accounts of my business every year by a certain date or the benefits get cut off. We had missed the deadline, but managed to get back into their good books before the payments stopped. The same department administers unemployment benefits, and people who want to keep receiving those payments have to provide evidence of job seeking activity every fortnight. My younger daughter gets an allowance for being a full-time student, but she has to regularly provide evidence of attendance at classes. I'm in a twelve-month arrangement in which the government provides a small subsidy to my business to develop and market a new product. I have to submit progress reports every month, and there are also quarterly reporting requirements which result in immediate cancellation of payments if deadlines are missed. To receive an aged pension you have to regularly provide the relevant government department with statements of your assets and income. There is another benefit scheme in Australia in which parents receive payments (actually it's a taxation benefit) for having their children fully vaccinated. You might think that this benefit would be withheld if you chose not to vaccinate your kids, but you would be wrong. All you have to do is fill in a conscientious objection form and the money keeps flowing. You don't have to give any reason for your objection, just say you have one. Anyone offering a conscientious objection to fulfilling obligations related to the disability support pension, or Newstart, or the aged pension or the New Enterprise Incentive Scheme would have those objections looked at carefully and then be informed that they were off the program and had received their last payment. All you have to say to keep getting the vaccination benefit is say "Give it to me". I have no problem with real conscientious objection, but to prove it should require evidence of active membership of a religious group with opposition to vaccination as part of its dogma. Anything else is just lying and theft. Is it any surprise that the Australian Vaccination Network offers to provide people to accompany parents when they go to the doctor to get these lying forms filled in? Did I mention that claiming conscientious objection for no reason other than you are either an anti-vaccination liar yourself or believe the lies they tell is lying and theft? I did? Good. I wouldn't want to be misunderstood. 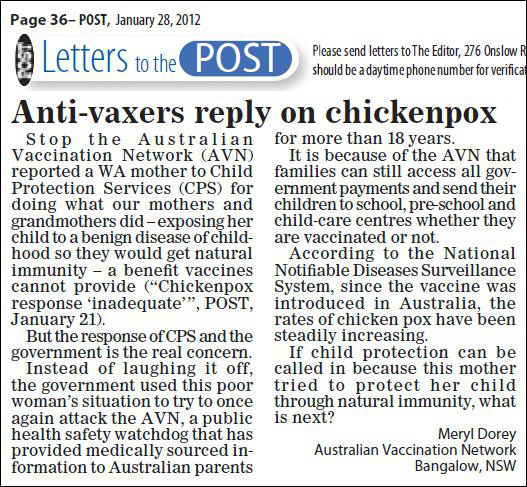 Back in January I mentioned a case of child abuse, where a naturopath boasted about exposing her child to chicken pox. Here is how the story was reported in the local paper, the Cambridge Post. This did not please the anti-vaccinators, and here is what Meryl Dorey erstwhile (and perhaps still current) president of the Australian Vaccination Network had to say in a letter to the paper. 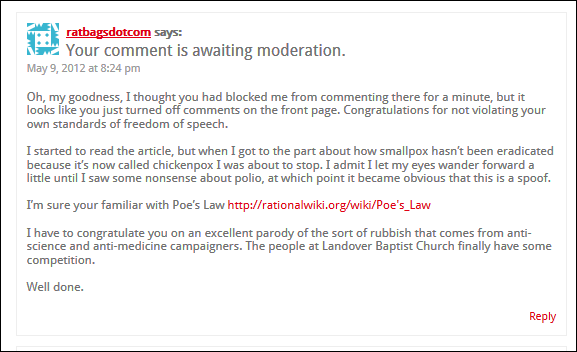 I love the headline: "Anti-vaxers reply on chickenpox". At least the paper is under no illusion about Ms Dorey's position. 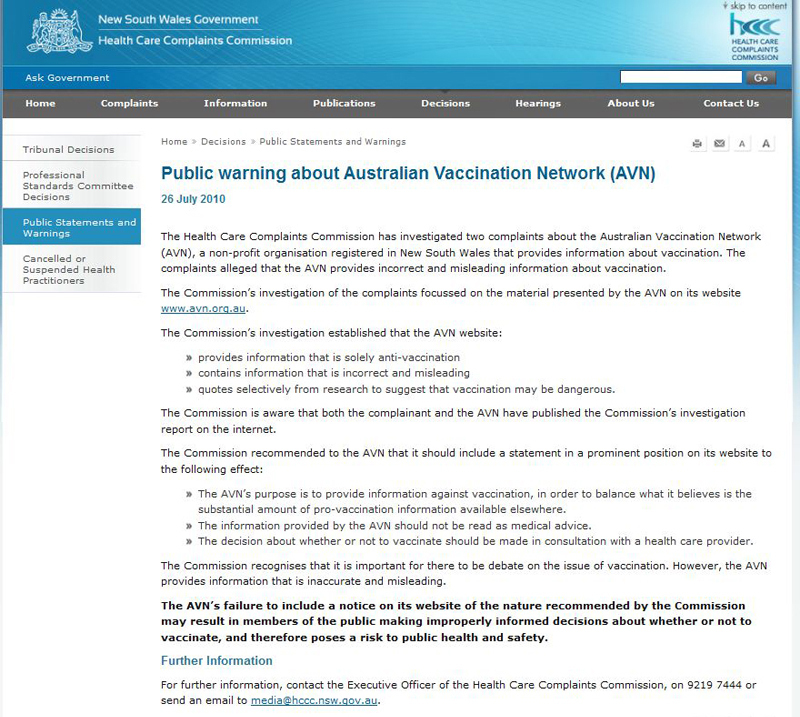 Stop the Australian Vaccination Network (AVN) reported a WA mother to Child Protection Services (CPS) for doing what our mothers and grandmothers did - exposing her child to a benign disease of childhood so they would get natural immunity - a benefit vaccines cannot provide. The report was made by Ken McLeod, not SAVN. My mother and grandmothers were never stupid enough to expose us to disease. The "benign" disease kills children every day. I'm sure the families of the 100 people who died each year in the US prior to a vaccine becoming available thought that "benign" was a good description. Vaccines can certainly provide immunity, even if it's not "natural". But the response of CPS and the government is the real concern. Instead of laughing it off the government used this poor woman's situation to try to once again attack the AVN, a public health safety watchdog that has provided medically sourced information to Australian parents for more than 18 years. The government did in fact "laugh it off" - they did nothing about this quite clear case of child abuse. Unfortunately. Any relationship between the AVN and public health is negative - they want children to be sick. The "information" is sourced from medical specialists like the disgraced Andrew Wakefield, total loon Harold Buttram, the Geiers, who have been declared persona non grata as expert witnesses (and who give castration chemicals to children), and other people who have either forgotten their medical training or who paid someone else to sit the exams for them. It is because of the AVN that families can still access all government payments and send their children to school, pre-school and child-care centres whether they are vaccinated or not. No, it wasn't "because of the AVN. And isn't the rest of it a disgrace? People can claim benefits to which they are not entitled and send their pox-ridden spawn to schools and kindergartens to infect other people's kids. This is not something I would be proud of, but as you can see there is no yellow - this vileness is the truth. According to the National Notifiable Diseases Surveillance System, since the vaccine was introduced in Australia, the rates of chicken pox have been steadily increasing. Notice the huge increase, mostly due to doctors now being familiar with what the disease looks like. I had chicken pox as an adult and it was the first adult case my doctor had ever knowingly seen. Also note the steady increase between 2008 and 2010. It would be expected that a newly-introduced surveillance system would show an increase in reported cases over time as doctors became familiar with what the disease looked like. By the way, there was one case in 2003 and 5 in 1997 (the two years prior to 2006 with reported cases), but to include those in the graph would cause my old stats teacher to come to my house with a machete. If child protection can be called in because this mother tried to protect her child through natural immunity, what is next? Child protection wasn't "called in". A clear case of child abuse was reported to CPS, they flick-passed it to Health who then washed their hands of it. And as for "what is next?" Perhaps parents "protecting" their children from sexually transmitted diseases by exposing them to adults with syphilis, gonorrhea and chlamydia. Then see what CPS does, and it won't be "Oh, that's OK". And the mother didn't try to "protect her child through natural immunity", she placed the child in a health (and possibly life) threatening position. I suppose if I pointed out again that the mother is a naturopath and therefore devoid of any medical knowledge I would be accused of ad hominem, but facts are facts. It seems that in all this busyness you have forgotten to post out issues of Living Woosdom, sorry Wisdom, and subscribers might be getting a bit impatient. I've even heard that iSubscribe have dropped you from their web site and list of magazines that they sell subscriptions to. You have mentioned financial worries and I'm sure you don't need any of this aggravation. Perhaps you should check the garage to see if there are any magazines there that you have forgotten to take to the post office. I'm sure that subscribers will be happy to receive them even if they are a couple of months, or even years, late. I hope this finds you well. See you on February 22. Yes, Wednesday, February 22 was the big day. 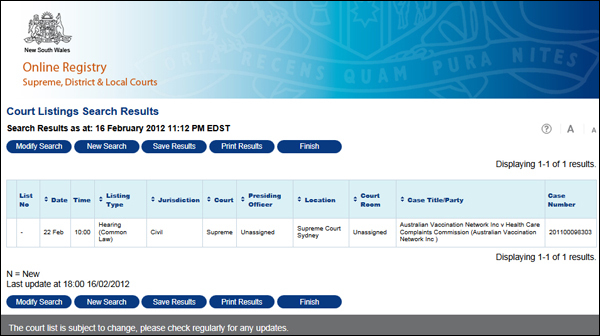 It was to be the last hearing date for the great big court case where the Australian Vaccination Network was taking on the NSW Health Care Complaints Commission. The AVN refused to do this, so the HCCC issued its very first ever Public Warning which included the following words. The Organisation's website is misleading in that it may lead people making donations to believe that they are donating to a cause which promotes vaccination whereas the Organisation adopts an anfi:-- vaccination position. When requested by the HCCC to publish a disclaimer on its website the Organisation failed to do so. This had the effect of severely restricting the ability of the AVN to raise money, as the order also prevented them from enrolling new members or soliciting donations from anyone except existing members. How anybody can interpret the statement by the OLG&R to say that the "entire decision" was based on the HCCC's original request (not the warning) when there were clearly two other reasons is a mystery, but much of the anti-vaccination movements interpretation of reality is a mystery. Based on this false assumption, the AVN took the HCCC to court in the mistaken belief that if they could get the HCCC action overturned they could go back to asking people for money and it would be business as usual. The decision did not go as we would have liked it, because Justice Adamson ruled that the HCCC had exceeded its authority. Her decision was based on her interpretation of who is allowed by the legislation to make a complaint. 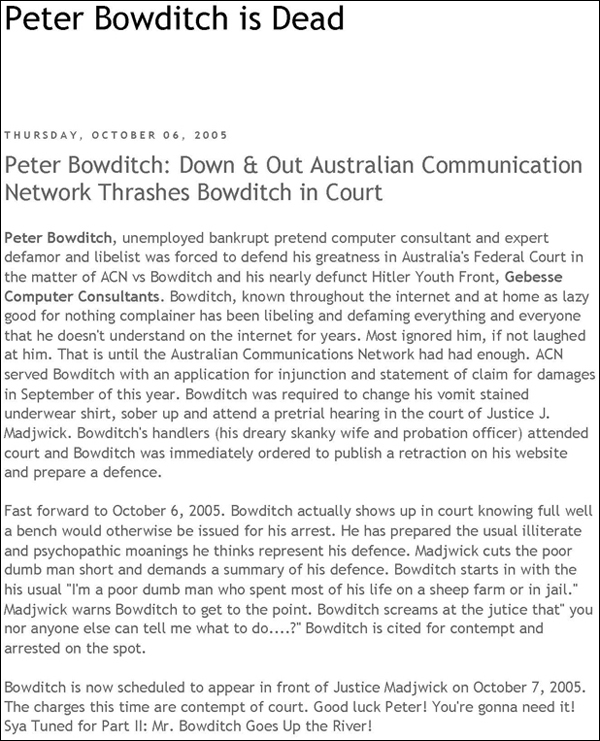 Note - she did not rule on the content of the complaints themselves or that the HCCC did not have power over the AVN as a health care provider (the AVN's lawyers had accepted that status for their client). She ruled that the wording of the relevant Act of Parliament restricted the ability of complaining to people who had been directly influenced by the AVN's words and actions. In this case the two complaints had been submitted by third parties. Once these complaints were ruled out, the HCCC had no reason to act. The HCCC has since removed the warning from their web site (it is retained here for historical reference, but has been moved so it cannot be indexed by search engines). The reasons for the decision are summarised in paragraphs 59 and 60 of the document, where it is made clear that the complaints could not be upheld as they were not made by people qualified under the legislation. In paragraph 60, Justice Adamson suggested the sort of evidence which, had it been provided by the HCCC, could have resulted in a decision the other way. Justice Adamson explicitly rejected an appeal to certiorari (p67), which means that the OLG&R's order is not affected by the outcome of this case. So despite much crowing by Ms Dorey about the great win in the courts, it really is business as usual. 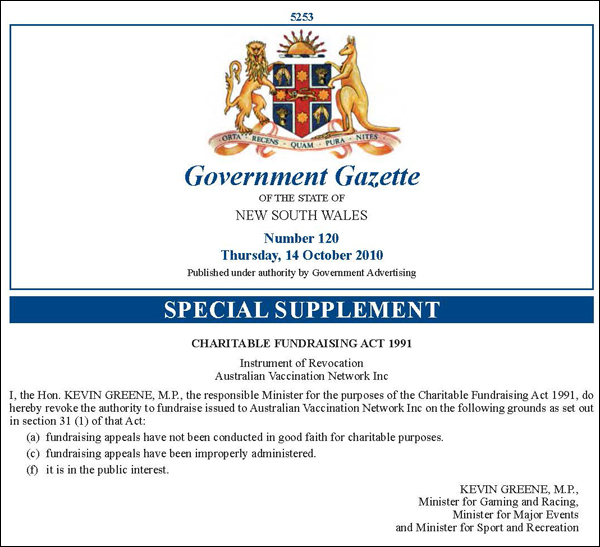 The order preventing the AVN from fundraising stands and the HCCC has the undoubted ability to examine and act on the AVN's activities. In future, complaints will be made in a legally acceptable form now that the rules are quite clear. If anything, the decision can be interpreted as implying that the AVN has no influence at all, because evidence of any such influence could have changed the outcome. There is one interesting matter outstanding, however. The solicitor acting for the AVN apparently publicly declared that she was working pro bono, which means that she cannot submit a bill even though costs have been awarded against the HCCC. Ms Dorey was running (before the OLG&R ban, presumably) an appeal for money to pay legal fees, but with the solicitor getting nothing and the barrister's costs being covered by the HCCC, one wonders what happened to any money collected. Maybe the Office of Liquor, Gaming and Racing might like to have a look at that. 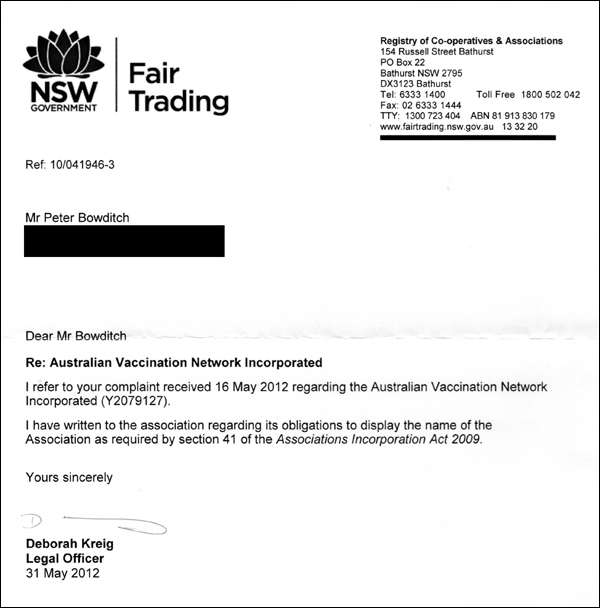 Last week I mentioned the result of the court case between the Australian Vaccination Network and the NSW Health Care Complaints Commission. 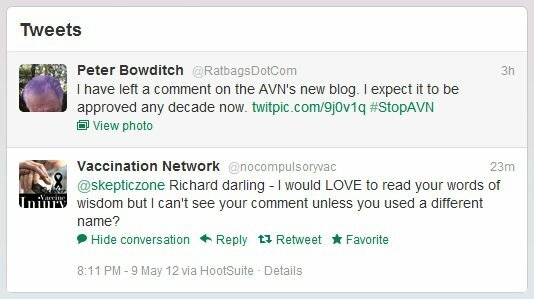 Following the decision the HCCC took its Public Warning about the AVN down from its web site. That doesn't mean that anyone else has to stop publicising it, so here it is. And here it is in a form that can be found by the search engines. The Australian Vaccination Network is conducting a survey of readers of its magazine to determine what they want to see in the rag in the future. The results of one of the questions is causing some amusement. 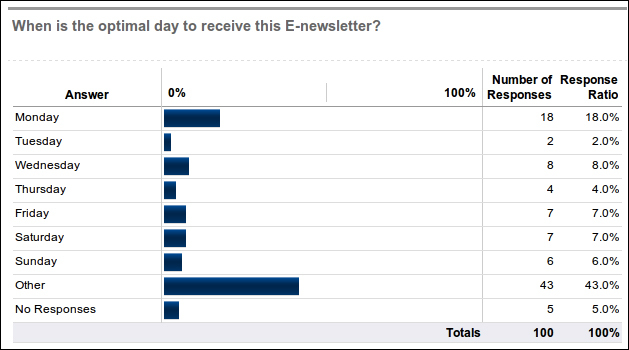 OK, I know it's bad survey design to have more choices than possible correct answers, I know that it should have had a "Don't care" choice, but I really like the idea that 43% of AVN members think that there are more than the normal seven days in a week. It fits with their rejection of facts and common sense. Perhaps that other day is the one on which vaccines are dangerous and don't work, a day unknown to the rest of us. There's an old insult: "He wouldn't know what day it is". 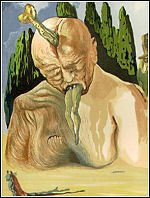 Could this condition be endemic in AVN supporters? 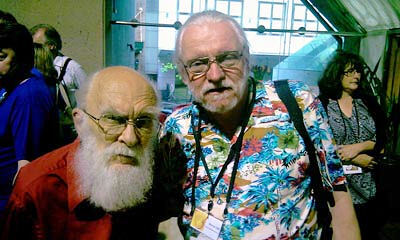 Despite raising aver $150,000 in donations that was not spent on its intended and specified purpose (a court challenge to some very sensible legislation)but was used instead for overseas trips to loon conventions, the AVsN didn't have enough money to pay for renewal of the domain name, so "The REAL Australian Sceptics" died some time in 2016. Nobody cared, because nobody had been looking at the site anyway.